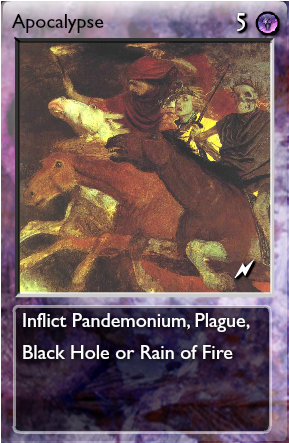 Four Horsemen has all the unupped, Apocalypse all the upped versions, which means that if FH casts Pandemonium it will affect your creatures too. Seems a little OP, just a little. Might want to consider making it not cost chroma but a element instead?  Is Pandemonium going to embody Conquest? Also, unupped Pandemonium affects your field, while upped ones do not. Which one will Four Horsemen/Apocalypse possibly inflict? Might want to consider making it not cost chroma but a element instead? It is chroma because I did not want to make it simply a more expensive Pandemonium. Might bump the cost a bit. Is Pandemonium going to embody Conquest? For better or worse, yes. 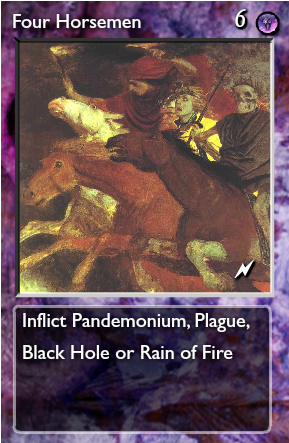 Also we could take Fire Storm for Conquest and Pandemonium for the chaos of War. Also, unupped Pandemonium affects your field, while upped ones do not. Which one will Four Horsemen/Apocalypse possibly inflict?Apocalypse is all upped spells, so it definitely only affects opponent's side. I think unupped could get away with affecting only the opponent's side, but it could also serve as a russian roulette element for the spell. Made into death-entropy hybrid (we don't seem to have a name for it yet). Default hybrid names are some variation of a half blood name. Lowered costs a bit, fixed names, fixed in Notes that Pandemonium caused by FH will affect your side.